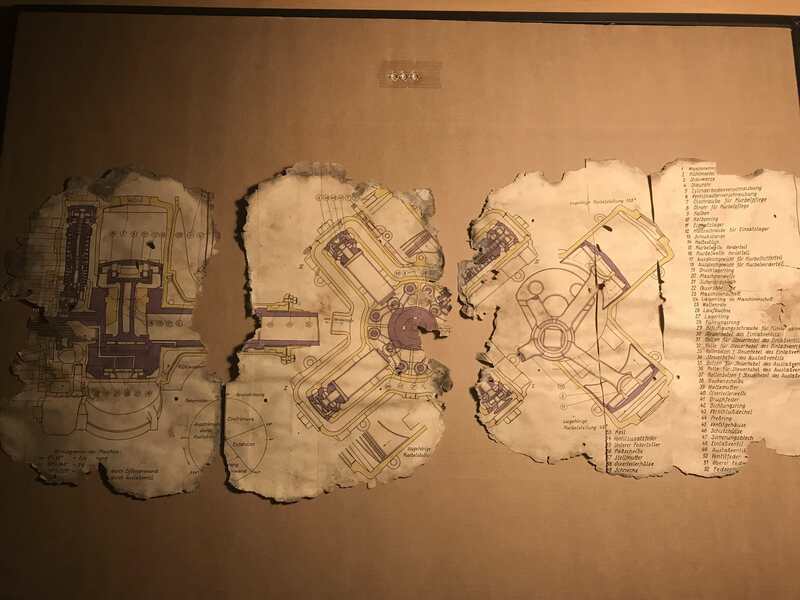 The diagrams were found in an abandoned naval military base (That's why they are in such a bad condition) in Spain which most likely indicate that they were sent with the torpedoes as part of Program Bär, the problem is that the torpedoes sent to Spain were G7a(T1) and G7e(T3) variants. At first the G7a seems like the most likely answer but the engine looks like an older version and the rest of the diagrams show parts that don't match any G7a manual. If anyone who could provide some information is interested I will send the scans of the diagrams (Showing the engine, speed regulator and other mechanisms) to them.